Wow! It looks like I am way behind with posting! 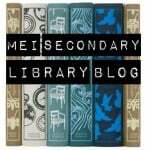 Exciting changes are happening in the library! I will post some before and after pictures soon. 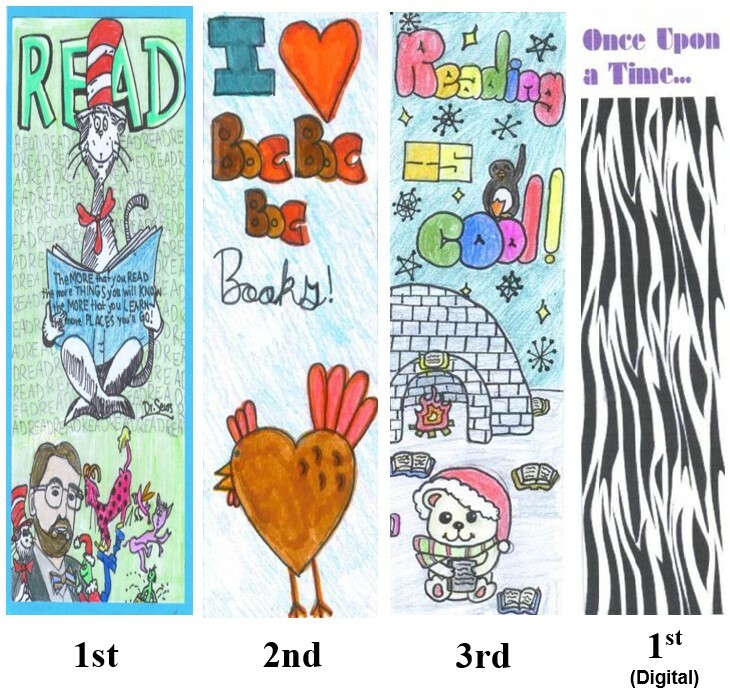 But first, let me announce this years bookmark contest winners! 1st Reet Gill , 2nd Carter Reilander, 3rd shared between Hannah Wood, Sophia George , and Emily Esau, 4th Jordan Choo. 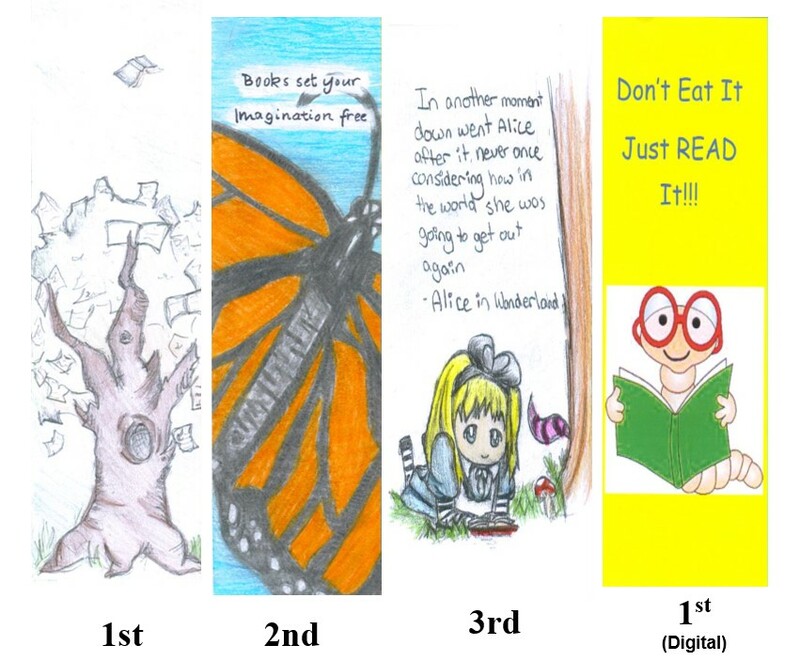 Congratulations to the winners of the 2016 bookmark contest! 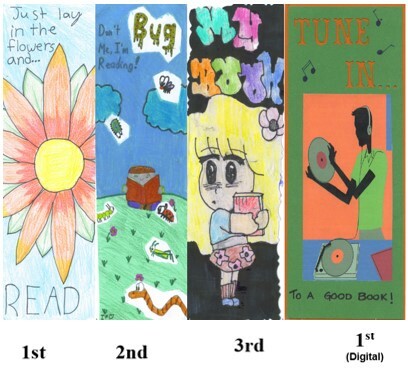 1st place Claudia (6O), 2nd place Joyce (7S), 3rd place Jolie (6KB), and the digital winner is Sarah (6P). 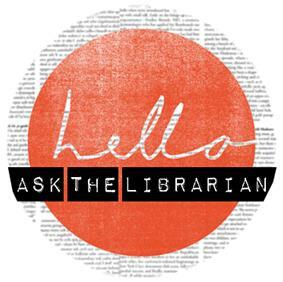 Come to the library to pick up your favourite! 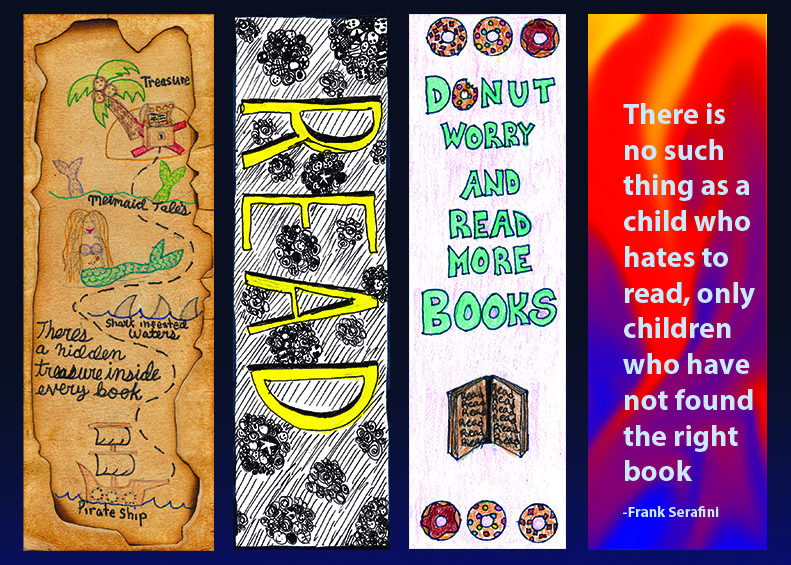 Thank you to everyone who submitted a bookmark this year. There were over 60 amazing entries! 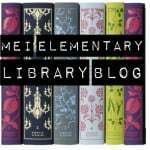 The Bookmark Contest is Back! I am happy to announce that we will be having another bookmark contest this year! Get creative for a chance to win a prize and have your artwork printed and available in the library! But hurry, the contest will end February 29th. I have been so amazed and impressed by the level of talent here at MEI!! 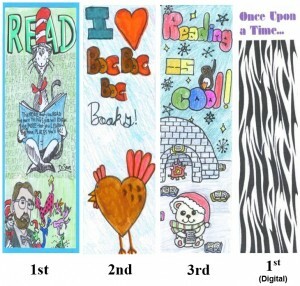 This will be our fourth bookmark contest. There are usually so many awesome entries that the judges have a hard time picking the winners. 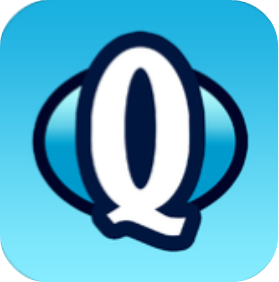 The Rules… maximum size: 2.5 inches by 7 inches. Must be able to be scanned. Submit as many as you would like. Make sure your name and grade are on the back!